The newbuild Travelodge Hurstville (centre) will be adjacent to the Illawarra Catholic Club (right). The Illawarra Catholic Club has today commenced construction on a 124-room hotel in the Hurstville CBD which will be managed by TFE Hotels under its Travelodge brand. Offering guests a direct link to the club, the hotel will sit with ‘Club Central’ on one side and a five-storey commercial tower on the other. The hotel will become part of the rapidly expanding club, which also sits close to the Rhodes Business Park around seven kilometres from Sydney Airport and express rail links to Sydney City. Rooms will be smart in design, with high-speed wi-fi throughout. Both king and twin bedding configurations will be available, along with options for third and fourth share. Public facilities will include a rooftop restaurant, while a multi-level car park will extend the length of the development. Conferencing facilities will include meeting rooms and a grand ballroom capable of hosting large events including weddings. “As Hurstville continues to grow and develop this property, in the heart of the community, will become the first hotel to open within a five-kilometre radius of the commercial district,” TFE Hotels CEO Antony Ritch said. 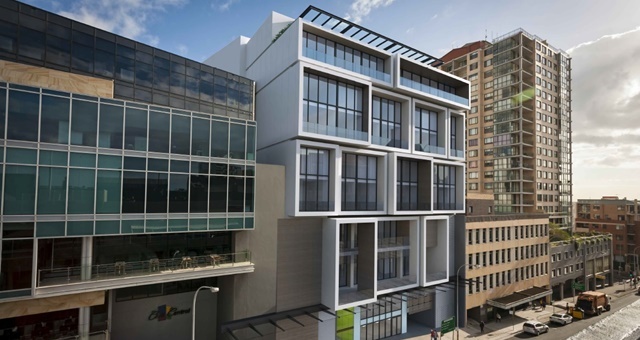 Travelodge Hurstville will be the brand’s 19th property in Australia. No firm opening date has been set as yet.